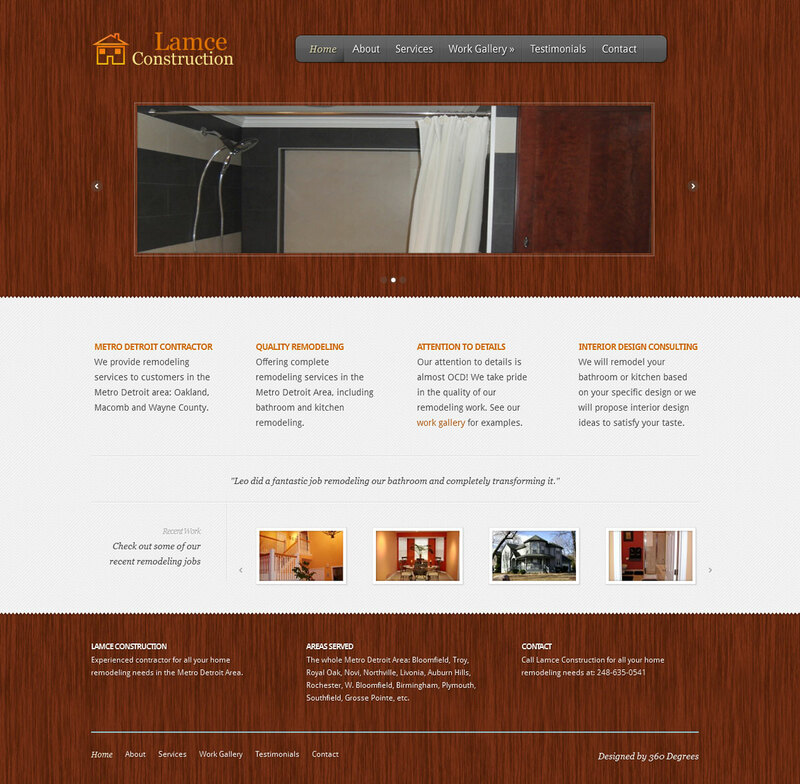 Lamce Construction is a small contractor company which serves customers all over the Metro Detroit Area with remodeling, painting, flooring, basement finishing and other related services. They are often asked by potential customers to show them previous jobs they have done. Therefore the main goal for this website was to showcase their portfolio. Used warm color palette to mimic wood/tiles and colors which Lamce Construction is most fond of.